Brian* ’s clients appreciate his quick judgment and ability to recognize what’s really at stake. Brian has developed these skills in complex business disputes, class actions, civil fraud cases, defamation matters and professional liability claims. He questions§ witnesses, opponents and clients to get to the heart of the case and identify the paths to victory. This approach has earned Brian a track record of success for a wide range of private and public sector clients, including an international sporting regulator, a leading North American baked goods manufacturer, an Ontario university, a major Canadian bank, and a Toronto fintech startup. Whether at trial or on appeal, Brian makes no assumptions‡ about what it takes to win, and litigates with a focus on efficient, practical approaches to advancing his clients’ interests. Brian’s diverse experiences give him the edge in advocating for his clients in any setting, from trial courtrooms to corporate boardrooms. .
Brian’s civil litigation practice includes a wide range of disputes, from complex business disputes to civil fraud and from professional negligence to defamation. His clients have included Canadian and foreign public and private companies (large and small), professionals (doctors, lawyers, auditors, accountants and securities professionals), non-governmental bodies, governments and regulators. He has a particular interest in cases involving fraud, securities and complex financial instruments. Brian has experience prosecuting and defending claims at trial and on appeal. He has appeared before the Court of Appeal for Ontario, the Ontario Superior Court of Justice and the Federal Court as well as administrative tribunals. A top student at Queen’s Law, Brian was the Editor-in-Chief of the Queen's Law Journal and earned two major academic awards and prizes for the highest standing in several courses. Brian was a member of the Queen’s Law Jessup International Law moot team and now coaches the Queen’s Law Ontario Trial Lawyers’ Association Moot team. He also regularly acts as a judge at the Jessup moot and teaches international law in the Department of Political Science at the University of Toronto. 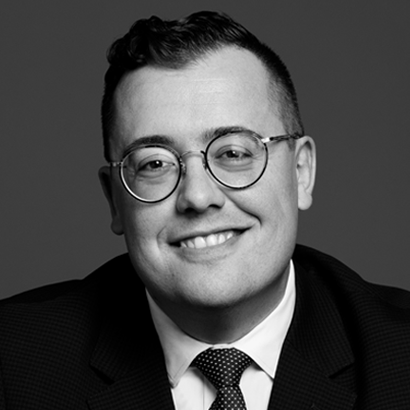 Brian is among the firm's lawyers who assist the Legal Aid Ontario's Refugee Law Office on behalf of clients seeking emergency stays of deportation. Counsel to the IOC in an action brought in Ontario by the plaintiff arising out of the IOC's decision to declare the plaintiff persona-non grata in the Olympic movement. Successful motion to stay the action on jurisdictional grounds. Parties to class action settlements often settle, at least in part, to avoid the ordinary uncertainty of litigation. Courts have long emphasized that while they retain discretion to supervise payments of lawyers’ fees as part of a settlement, the settlement approval process will not entail the Court re-writing a settlement that it is not prepared to approve. Yesterday’s decision from the Supreme Court of Canada in Wilson v. AECL will no doubt generate (and has already generated: e.g. here, here) significant commentary. Foreign states are rarely sued in domestic courts. In Canada, that is generally so for a single, good, reason: the State Immunity Act, (“SIA”). That statute, implementing the international law doctrine of state immunity into Canadian law, grants virtually all states immunity in respect of (most) non-commercial dealings. Brian Kolenda spoke at ALAI Canada's conference on how Canadian courts take and impose jurisdiction for online conduct.